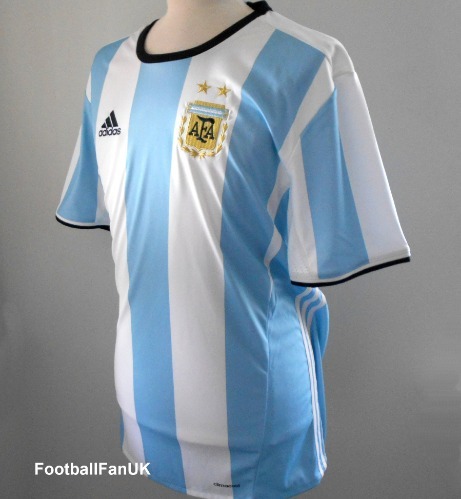 Argentina home shirt from Adidas used by the team in during 2016-2017 for their World Cup qualifying matches. This is an official Adidas football shirt and is brand new with tags. - Woven federation badge and gold stars. - Light blue and white stripes with black trim. - Adidas product code AH4975.